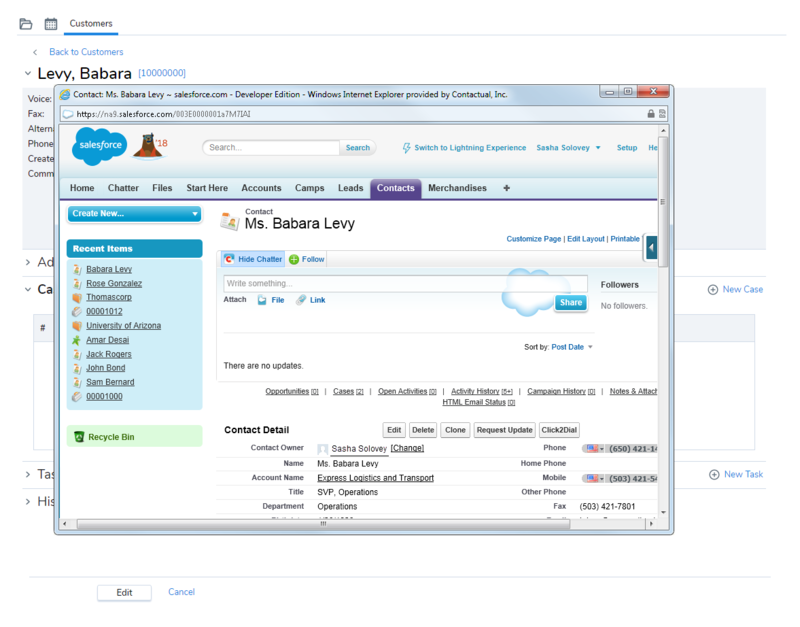 The following table summarizes External CRM set up options in the AgentAgents use the Agent Console to view and manage customer interactions. 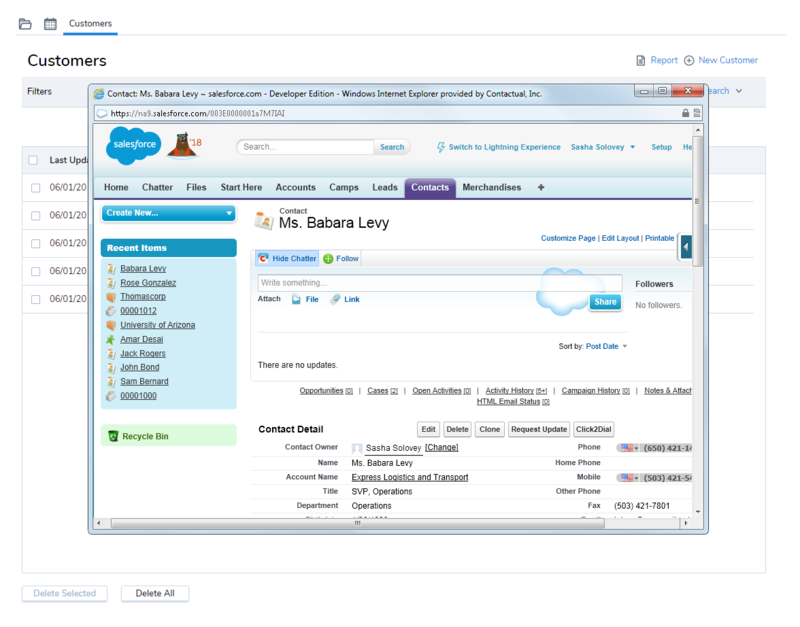 Virtual Contact Center supports Regular agents and Supervisor agents. Profile. External Password:Enter the password to login to your external CRM. Note:This tab enabled only if the tenant administrator grants access. This option allows agents to view Screen Pop of interactions in a standalone pop up window instead of opening new tabs within theAgent ConsoleVirtual Contact Center's browser-based graphical user interface (GUI) used by Agents to manage customer interactions.. Selecting Yes displays the Internet Explorer toolbar at the top of the stand-alone popup window. In the width and height text entry areas, enter the size of the screen pop window in pixels. In the top and left text entry areas, enter the screen position of the screen pop's upper-left corner in pixels.